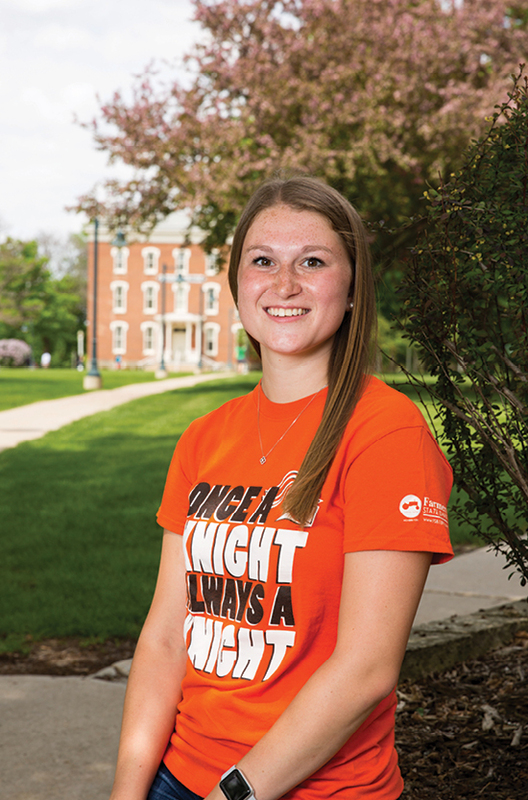 When Wartburg students and alumni talk about being a Knight, they often describe the sense of community as “one big family.” And for many Knights, being a family is taken literally. This past year, 283 current students were “legacy students,” which means they have had a parent, sibling, or grandparent attend Wartburg. Continuing the tradition of attending Wartburg comes full circle when alumni span multiple generations within a family. “For the alums, it’s a sense of pride and comfort, that they had a wonderful experience at Wartburg, and their students are in good hands, but there are also the opportunities to grow, be challenged, travel the world, and find new passions, just as they had,” said Tony Smith, associate director of Alumni & Parent Relations. Although the facilities have changed during the years, Erv Janssen ’58 says Wartburg’s value system has stood the test of time. The links to Wartburg have been strong throughout his family tree, with his father and uncle attending when the college was located in Clinton. His roots stretch back to the sister of Wilhelm Löhe, the German pastor who sent Georg Grossmann to America to establish Wartburg College. Janssen met his wife, Maurine Nissen Janssen ’57, at Wartburg, and the two married the weekend after Maurine’s graduation. Over the years, the family would travel back to campus for Homecoming and other events, and the connection grew for the next generation, daughters Katherine Janssen Klaassen ’85 and Julie Janssen ’83, who also became Knights. “We encouraged our daughters to check out Wartburg,” Erv said, citing that the attitude, atmosphere, and culture have remained strong since his time as a student. 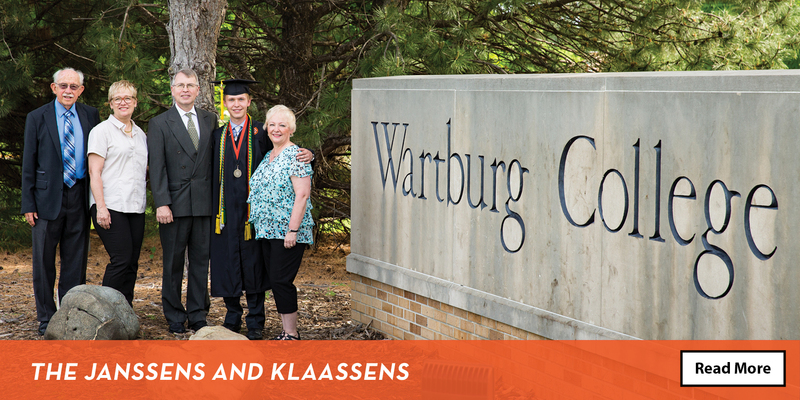 The legacy tradition has continued into the next generation, with many of the family Knights returning to campus in May for the graduation of Erv’s grandson Stephen Klaassen ’18, who grew up hearing stories about Wartburg. 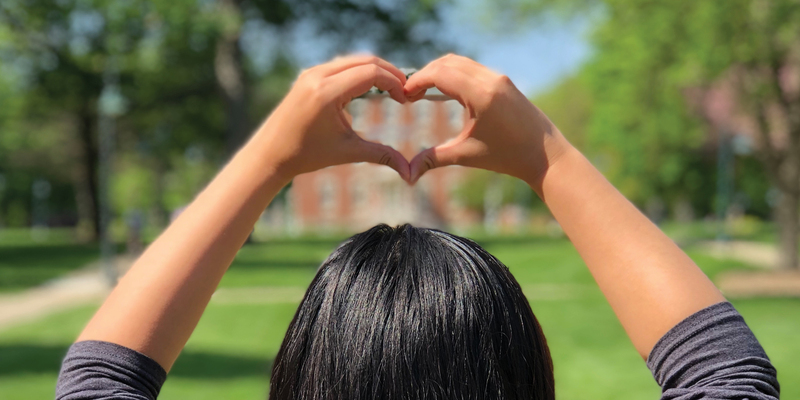 For alumni who have a student starting the college decision process, Tony Smith, associate director of Alumni & Parent Relations, recommends starting that journey at Wartburg. “When we have legacy families come and they choose Wartburg as their first college visit, they set that bar, and when they look at other colleges, they put that into perspective based on what we offer here on campus and the opportunities they would receive here,” he said. “Let us know if you have a high school student. We want Wartburg to be at the top of the list.” Go to www.wartburg.edu/visit to see a list of visit days or set up an individualized trip to campus. Legacy students at Wartburg also qualify for the Legacy Grant, worth $1,500 in financial aid per year for up to four years. “As I’m walking through campus, giving tours as an Ambassador, it’s cool to give some tidbits of the history, talking about what buildings were here when my grandparents were students and how it’s changed and evolved since then,” Stephen said. 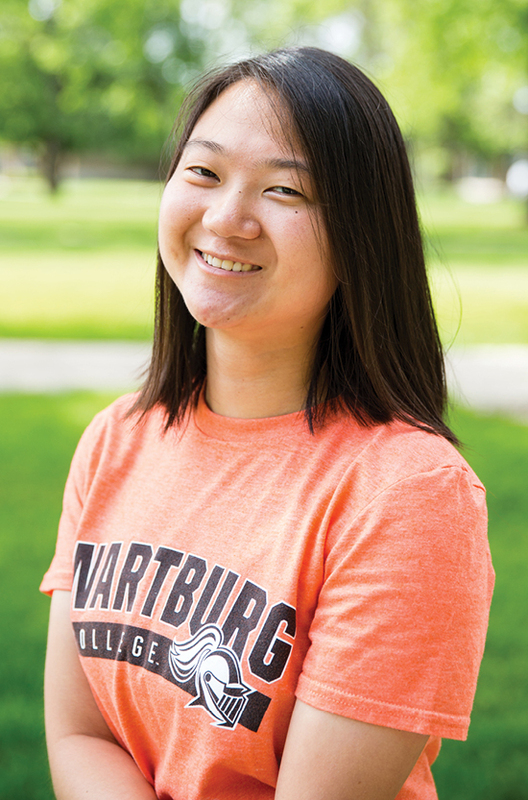 “It’s always felt like home,” said student Emma Bowman ’19, whose parents, Brian ’89 and Lori Brockman ’93 Bowman met at Wartburg. With several uncles and aunts who are Knights, Emma grew up hearing stories about Wartburg and coming to Homecoming. Now she is charting her own path while appreciating the legacy she is building upon. And her parents enjoy it, too. “They have fun seeing people they graduated with and seeing they have kids here, too,” she said. During the year, the Students UKnight organization decorates the doors of legacy students in the residence halls to show the college’s recognition of their family history. 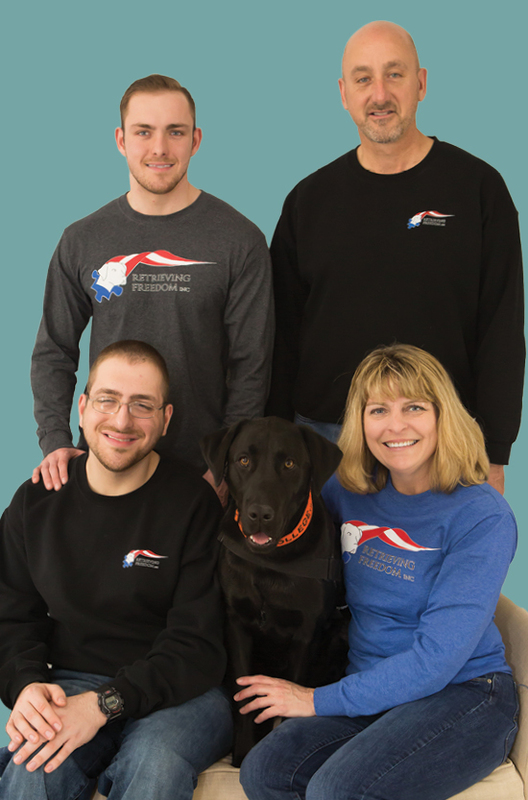 Seeing how the family experience comes full circle for alumni has been rewarding, said Smith. 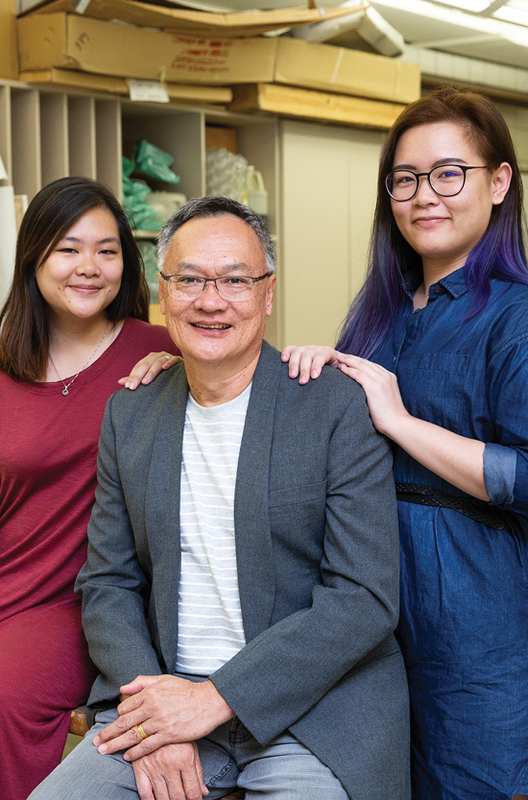 And though students might worry at first about being in the shadow of their family members who came before, they soon discover plenty of room to grow in their own way, said Smith.